Provide the information and we will provide you a State Specific Divorce Package which includes information about divorce, instructions, Petition for Dissolution of Marriage, Judgment, and other forms required by your state. Completion Option: If you would rather have the documents completed for you, please use our Divorce Completion Services page. 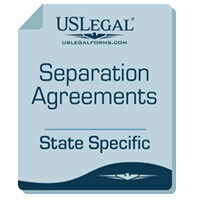 This package is only for divorces where the parties can agree on all matters, such as property, support, etc. Will the parties agree? Select whether you have children and whether they are minors or adults. If you are getting a divorce you need to make a new Will or if you do not have a Will you need to make one. This is a special price. Regular price is $24.00 up. To provide you with the proper Will for your State we need to know the ages of the children. Provide the information and you will receive a State Specific Divorce Package which includes information about divorce, instructions, Petition for Dissolution of Marriage, Judgment, and other forms required by your state. 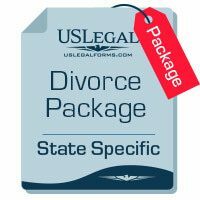 This divorce package includes (1)Information about Divorce, (2) Forms List, (3) Forms Explanations, (4) Instructions and Steps, (5) Checklist, (6) Forms and (7) Access to divorce law summary for your State. The forms include the required petition or complaint, answer, waiver, and agreement for taking of testimony, separation agreement, financial reporting statements, judgment and other forms to complete your divorce. 1. Decide where to get a divorce. Wherever one of the spouses chooses to first file for a divorce will determine which divorce court will handle the case. Considerations in where to file for divorce include whether the state is a community property state or not, residency of the parties, and travel time to court. US Legal Forms offers free divorce law summaries explaining residency and other requirements, which vary according to the state where you file for divorce. 2. Create a marital settlement agreement. In the divorce papers, the spouses may also ask the court to incorporate the terms of a legal separation, premarital agreement, prenuptial agreement, or annulment agreement that was made before marriage. This agreement between spouses for child support, child custody, alimony, and property division will often be incorporated in the final decree if it was knowingly and fairly agreed to. Financial statements can prove financial disclosure was made. Financial statements may sometimes be waived if the parties are already aware of assets. 3. File a complaint for divorce. It’s sometimes called a petition for dissolution of marriage. The husband or wife filing for divorce is called the plaintiff or petitioner and the other spouse is called the defendant or respondent. US Legal Forms offers free how to divorce law summaries, and online divorce forms for no-fault and uncontested divorces. Even if you are parents with children wondering how to file for divorce, you can use online forms for divorce. As long as the other spouse is in agreement on child custody or support, online forms for a divorce may be used. 4. Serve a copy of the divorce papers and forms on the other spouse. One of the divorce papers spouses may sign is a waiver of service, so that formal service by a process server isn’t required. Generally, after the initial petition, regular mail is sufficient for serving all the divorce papers and forms. Divorce terms used may vary depending on your state. Alimony – In some states this may be called spousal support or spousal maintenance. Divorce – May also be called dissolution. Grounds – In most states, you can file on fault, as in adultery cases, or no-fault, as in irreconcilable differences, grounds. A fault based divorce may also be called a contested divorce, since the parties are often disagree on issues like child support, child custody, property division, etc. A no-fault divorce may also be called an uncontested divorce. Complaint – A complaint for divorce may also be called a petition for dissolution. Prenuptial agreement – This may also be called a premarital agreement. What online divorce forms and papers do you offer? Do I need an attorney to file for an divorce? How to file for divorce will depend on whether the divorce is uncontested or not. If the spouses are in agreement on the issues such as property division, child support, child custody, and alimony, do-it-yourself divorce forms and papers can be used without hiring a lawyer. Often, when spouses file for a divorce based on no-fault grounds like irreconcilable differences and the issues are uncontested, online forms for divorce can save thousands in legal fees. Can my husband being guilty of adultery for dating after filing for divorce and serving divorce papers? If you file for divorce, you can be guilty of adultery until there is a final order of dissolution of marriage. Serving divorce papers and forms alone doesn’t affect the legal status of the marriage. The spouses will remain husband and wife until a final divorce decree is entered in court. How do I enforce a premarital agreement? A premarital agreement, also called a prenuptial agreement, will often be enforced when full financial disclosure was made. A copy of the premarital agreement can be submitted with the divorce papers. The court will consider the circumstances in each case, such as whether there was opportunity to get legal advice and if any financial statements were provided. Can a parent with children use online divorce forms? Yes, even parents or a parent with children can use online forms for divorce in uncontested cases. If you and your spouse are in agreement on the issues such as child custody and child support, then you can create a marital settlement agreement, which can be incorporated in the decree for dissolution of marriage. Are online divorce forms difficult if I don’t anything about how to file for divorce? We offer forms for a divorce that anyone can use, regardless of whether you know anything about how to divorce. We have divorce packages available with easy to follow instructions for do-it-yourself divorce. We also offer individual divorce forms for all dissolution matters, such as child custody or support, contempt, modification of child support or alimony, etc. How is where to file for divorce decided? Where to file for divorce will depend on the residency requirements of each state and whether community property laws apply. US Legal Forms has free divorce and dissolution law summaries, and you can preview sample divorce papers and forms before downloading. 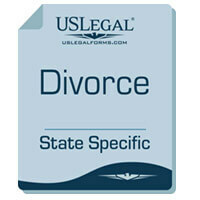 Our forms for divorce are state-specific and comply with divorce laws in each state. How is a child support order enforced if my former husband hasn’t paid? If a parent is behind in child support payments, a motion for contempt may be made. US Legal Forms is where to get divorce forms that have been professionally prepared by attorneys. We offer motions for contempt of child custody or support orders, and free previews of online divorce papers and forms are available. Is modification of spousal maintenance possible? You may modify spousal maintenance if the divorce decree allows modification and the former spouse receiving maintenance has a significant change of circumstances.